This week marks 200 years since Frederick Douglass was born. Rev. Dean Nelson shares why he matters — and details of national efforts to educate about his life. In a time of polarized politics and heated debates, the art of civil disagreement has largely been lost. One man born two centuries ago spent his life showing a better way. He learned from a wise mentor, yet amicably parted ways with his agenda. He honored President Lincoln, while privately serving as a prophet of moral conscience. Nelson serves as chairman of the Douglass Leadership Institute, a public policy group centered on liberty, faith and free market principles. He spoke with The Stream about the life of Frederick Douglass, a new national commission honoring him, and early buzz of a film being produced about his remarkable life. 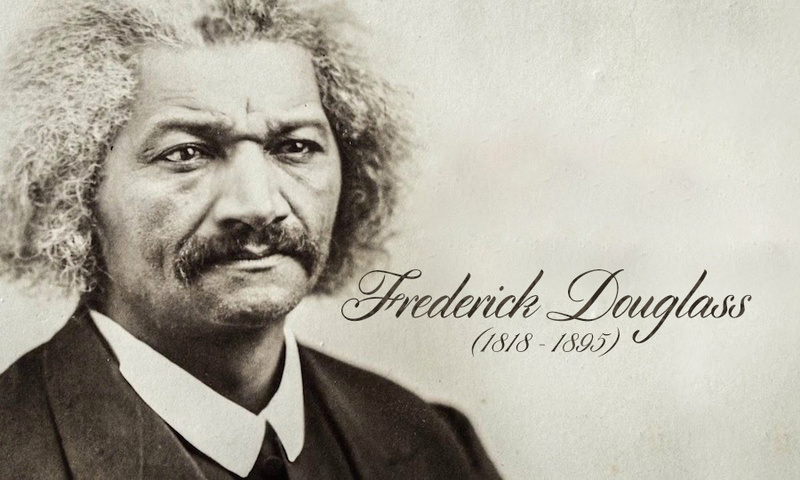 The Stream: This week marks 200 years since the birth of Frederick Douglass. Could you share about his role in America during the Civil War era? Rev. Dean Nelson: There is hardly a more formidable figure in American political history than Frederick Douglass. He was born into slavery in 1818. He overcame tremendous obstacles to not only escape from slavery, but then to go on to be a leading figure in the abolition movement. He ended up being the most photographed person in the 19th century, because he used the technology of his day to help advance his cause. Douglass was an advisor to five U.S. Presidents. He was a social reformer — and not only for the abolition of slavery. He advocated for women’s suffrage and also for the rights of black Americans. I believe God raised him up as a unique figure during the Civil War era. He had a deep dedication to American principles and an abiding faith. Historians lament he’s the most famous person that no one in this current generation knows much about. It’s our hope that through our initiatives, we can reintroduce him. Douglass became one of the greatest statesmen our country has ever known. The Stream: The White House and Congress recently created the Frederick Douglass Bicentennial Commission. Days ago, President Trump appointed Dr. Alveda King to serve on it. What should we expect in the months ahead? Nelson: We’re really excited about this effort. Not only is Alveda King part of it, but my good friends Star Parker and Kay Coles James are also on the commission. They are joined by Senator Tim Scott and Ken Morris, Frederick Douglass’ great-great-great grandson. Ken and I have become very good friends. They are all serving together on this project. The commission will host events to highlight the life and legacy of Frederick Douglass. I’ve heard there’s a launch event in DC to come as well as educational events in high schools across the country. The full commission has not yet met together. Many were sworn in Wednesday, so we should be hearing more soon. The Stream: Few scholars give much attention to the faith of Frederick Douglass. How did Christian beliefs influence his life and journey? Nelson: Douglass became committed to Christ at a very early age. He used the Bible as the framework for why he worked to abolish slavery. Many are familiar with the passage from Second Corinthians chapter three: Where the Spirit of the Lord is, there is liberty. His faith influenced his understanding of what freedom is. In his own personal walk, the inspiration of the Scriptures helped him overcome hatred and bitterness. As a result, before his former master departed this life, Douglass spent time with him. He forgave the man’s cruelty and reconciled with him. This reflects the foundation of Christianity, which is love. The Stream: Why did he start an independent news outlet, The North Star? Nelson: In that day, there were a few other outlets for the abolitionist movement. Douglass felt it was important to have a voice that was for the abolition of slavery, from the standpoint of black Americans. The North Star was a newspaper owned and operated by black Americans that actually reached black Americans. William Lloyd Garrison, a white abolitionist, mentored Douglass early on. But Douglass broke away from him because he had different ideas about how the abolitionist movement should advance. He started The North Star as his first paper, to communicate to free people how they needed to fuel that cause of justice. The North Star became one of the leading periodicals during that era. The Stream: Issues of equality and racial prejudice are still difficult for our culture to navigate. In what ways do his insights speak to current upheaval in America? Nelson: When I’m reading Douglass, I feel like so much of what he wrote is useful for today. Early in his life, being a follower of Garrison, he felt that the Constitution was a pro-slavery document. He came to understand it is a pro-freedom and anti-slavery document. 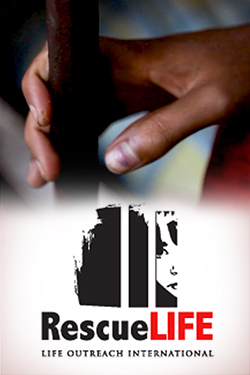 Today, many voices seek to redefine the Constitution. Douglass resonates with the ideas of freedom and Constitutional government. That’s critical in our time. He echoes how important America’s founding documents really are. At the same time, he also challenged where there were inequities. Douglass was famous for challenging the church. He observed what he called “slave-whipping, cradle-plundering, hypocritical Christianity.” It’s a good example of how he was a prophetic voice to the church. Committed to biblical principles, today we too can challenge the status quo. The Stream: Could you share about the work of the Douglass Leadership Institute today and your role there? Nelson: I serve in leadership of two groups. Both organizations work to uphold righteousness, justice, liberty and virtue. One is the Frederick Douglass Foundation, a political group to advance those values. With our 15 state chapters nationwide, we are working hard to get biblically based, conservative candidates elected to office. Then the Douglass Leadership Institute is the nonprofit, nonpartisan arm. It is really promoting these values throughout the country. We host programs nationwide that highlight Frederick Douglass and the principles we stand for. Those include strengthening the black family, criminal justice reform, economic opportunity and educational opportunity. These events vary from preaching at churches to policy discussions like we participated in today. To reach different age groups, we’re also planning three-on-three basketball tournaments and concerts. The Stream: Many have heard rumblings of a major film on Frederick Douglass in development. From your vantage point as part of the team, where does it stand? Nelson: A team is working to produce a full-length drama based on accurate history of Mr. Douglass. The story will follow how he escaped from slavery and his rise as one of the most prominent leaders in American history. Important aspects like his faith and family will not be overlooked. This exciting film will be filled with stories and small pieces of history most people have never heard. The film is slated to be released in 2019. We were hoping to have it release in time for the bicentennial, but we need this to be a quality feature film. The screenplay has been completed. Now we are moving into a phase of raising the $16 million necessary to make this a tremendous blockbuster independent film. Colin Hanna, executive producer of the film, spoke with me today at FRC. He is leading this effort and has invested hundreds of thousands himself to get this off the ground. We’re excited about the next phase, sharing the story with investors. We want to ensure this is an accurate and entertaining film that all of America will love. My wife’s 2nd cousin 4x removed was Douglass’s 2nd wife, so I guess I’ve paid more attention to Douglass that most. An accurate movie of his life would not need to be “Hollywood-ized” to make it interesting. I suspect that the reason Douglass is less known today has to do with the fact that he didn’t properly follow the progressive script, either pre or post abolition. Yes you’re a disgusting progressive troll.We know.Now let your mommy tuck you in bed.